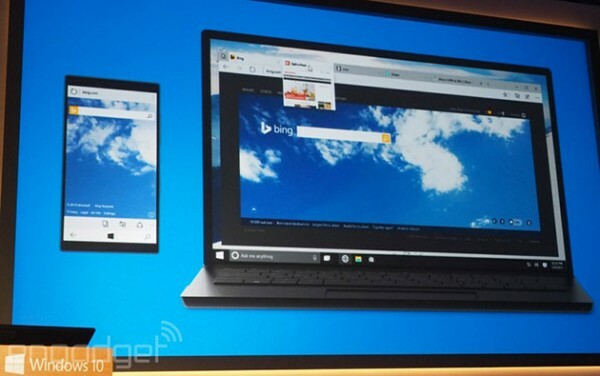 The rumoured replacement for Internet Explorer has been revealed at Microsoft’s Windows 10 event last night. Retaining the predicted Project Spartan name, the new browser will introduce new features and a new look as it tries to get away from the IE stigma. Project Spartan takes design cues from Google Chrome, just as every other browser revamp has done. The interface looks cleaner, with fewer toolbars cluttering the place. Tabs have been moved to the title bar, and the address bar has shifted into the tabs. Anyone using Chrome should feel at home. 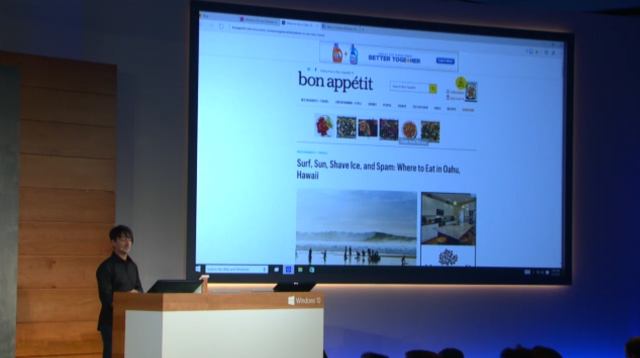 As expected, it also include Cortana integration, an offline reading mode that allows users to save articles for reading later; which will also sync the saved pages to both PC and mobile. There will also be a function to annotate webpages and share them with others. The application of this appears to be geared towards design businesses, but it is likely that the internet will find something to do with it. The browser will not be in the early Windows 10 consumer preview builds, although it can be expected to turn up at some point. It will also take a bit longer to appear on smartphones.